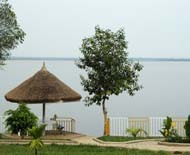 Terrace View Beach is perfect for those who want both: the experience of Uganda's rich nature and culture and a quiet time to relax. Our Team warmly welcomes you. Enjoy a relaxing stay at "the Pearl of Africa"
This name was given to Uganda by Winston Churchill when he came to this country the first time because of its marvellous beauty. You will find nice beaches to swim or other sport activities, mountains, green environment with nice flowers, exotic birds, wild animals in the National Parks, such as Lions, Buffalos, Elephants, Crocodiles. 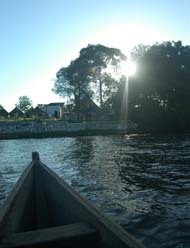 In the numerous lakes you can go for a boat ride among Hippos. Also Gorillas are around in some parts of the mountainous area. 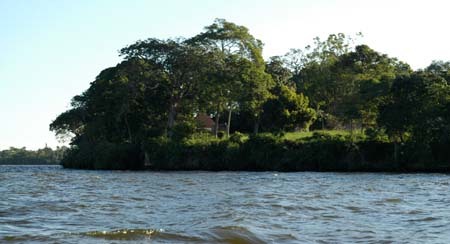 In Lake Victoria you will find beautiful islands such as Sese Island. The people will welcome you very heartly. 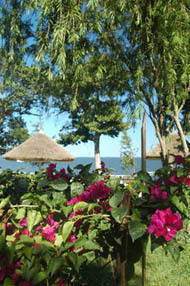 Lake Nabugabo situated next to Lake Victoria is special for its beaches, coastlines and many rare species. It is one of the few lakes where you can swim. It is free of Bilharzia or any other organisms that can cause diseases..